B randMentions gets better. We’ve added new sources and more historical data to your account. We value the power of feedback and collect suggestions from our users. In order to improve the BrandMentions tool and offer the best user experience, we always ask for our users’ opinions. We’re evaluating each feedback and every once in a while we’re implementing the most needed and requested suggestions. 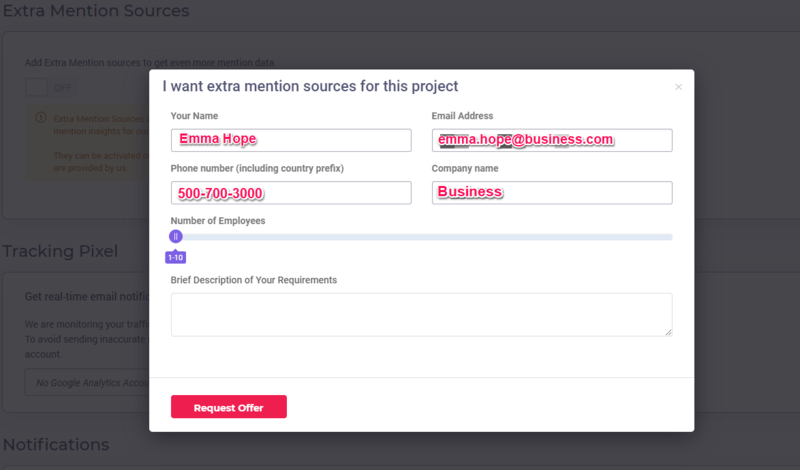 Regardless whether you use BrandMentions for your personal brand, company, topics or competition, the tool will show you all the information that is relevant to use, with the new instant notification option, the extra mention sources available and the benefit of getting historical data. At a quick glance in the Settings area, you can see there are some new features. The first one is Real Time Monitoring. Turn on the option and from that moment on, you’ll get instant mentions in your inbox. You get 24/7 mention monitoring from multiple online sources. We’ve expanded our databases and now we collect mentions from lots of sources to show you even more data. 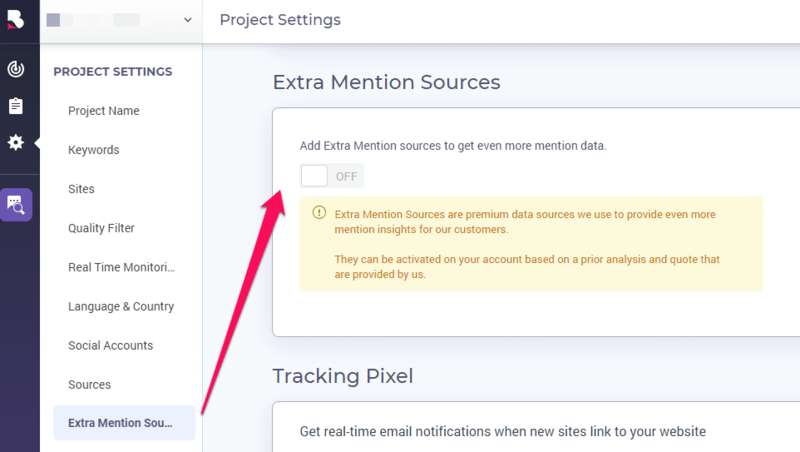 Go to Project Settings and select Extra Mention Sources. Extra Mention Sources are premium data sources we use to provide even more mention insights. They can be requested for every project you want. They can be activated on your account based on prior analysis and quote that are provided by us. Once you switch ON, you’ll have to provide us your name, email address, phone number, company name, number of employees and other information you’d like to share. 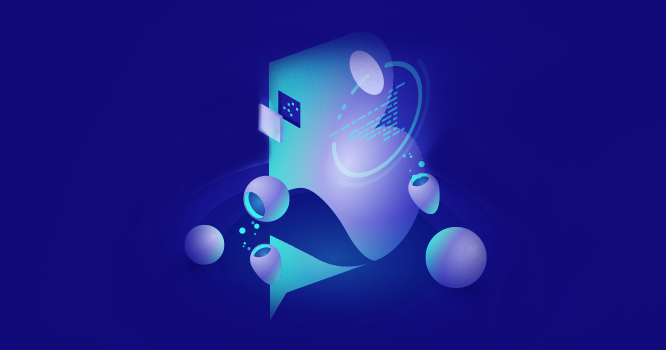 After that, you’ll be contacted by one of our team members to give you the most comprehensive list of mentions for your project. BrandMentions allows PR, brand managers, marketing specialists and business owners, in general, to keep track of the brand on the web. Also, it’s a good chance to discover powerful influencers and find potential collaborations through all the information you find in our list of sources. More insights and more mentions with the new features, that allows you to request historical data. Traveling back in time is now more accessible and gets you everything you want to know about your brand, your company, and even your competitors. Until now, when you created a new project you could see the data only for the last 30 days. With the new feature, you can see data for up to 1 year in the past. Click on Request Historical Data and send your contact information, plus the period of your mentions, not more than one year. After that, you’ll be contacted by one of the team members to get you the best quote and the desired data. We value our users and their feedback. And we consider innovation to be essential for a successful business. That's why every once in a while we think of new improvements, new features, or make the one that we have more accurate, more precise and more comprehensive. For someone who uses BrandMentions exhaustively, we know how important is historical data, a big database with lots of sources. 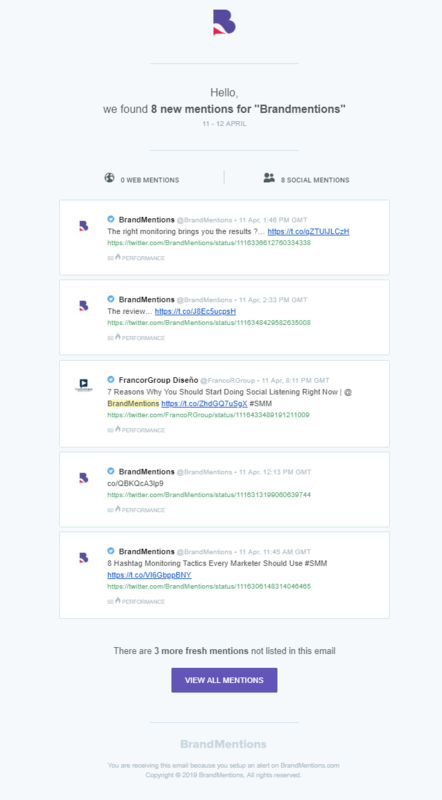 Moreover, you can get real-time notifications when somebody mentions your brand.